Want to make your next school football tour completely unforgettable? Inspire your team with a school football tour to AFC Ajax, the most successful team in the Netherlands! Your players will enjoy coaching from the club’s own youth coaches. The youth coaching at Ajax is legendary and has produced such legends as Johann Cruyff, Edwin van der Sar and Dennis Bergkamp! You’ll use the world-class facilities at the Toekomst, which include 11 pitches, 2 swimming pools and the famous Adidas Mycoach Dome. You’ll tour the stadium and receive a shirt signed by the first team. And you’ll use everything you’ve learnt when you take on local opposition in a friendly. 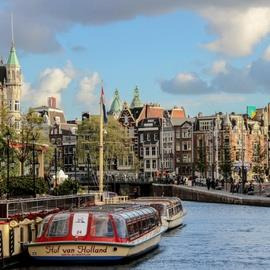 When you’re not working on your football skills, you’ll have time to check out Amsterdam too.